The Square Hatches we offer are watertight marine closures for work boats. Cast from high-strength aluminum. Available as hinged or liftout hatches. Also available with optional raised coamings or as a standard flush hatch. 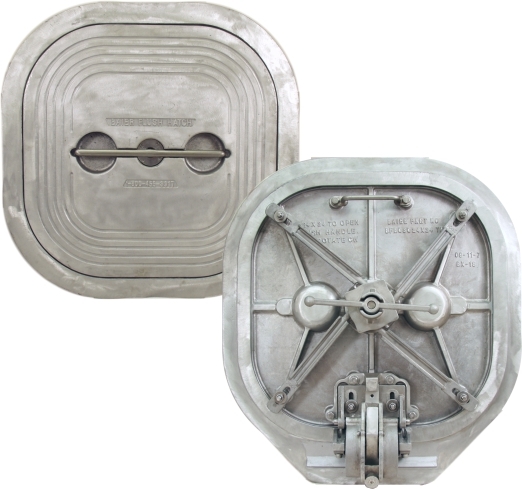 These hatches are also known as scuttles or access hatches in the Marine Industry.